On Tuesday, April 16, the Troy City School District Board of Education unanimously adopted the proposed 2019-2020 budget of $114,174,990. This plan includes a 1-percent tax levy increase, which is $326,455 below the allowable tax cap of 1.89 percent. It also includes enhancements to programs and supports for students. Taxpayers will vote on Tuesday, May 21. Show Times: April 11 and April 12 at 6 pm (School 2 Auditorium). This musical production is brought to School 2 through a partnership with the Park Playhouse. Admission $2 adults/$1 children (under age 18). 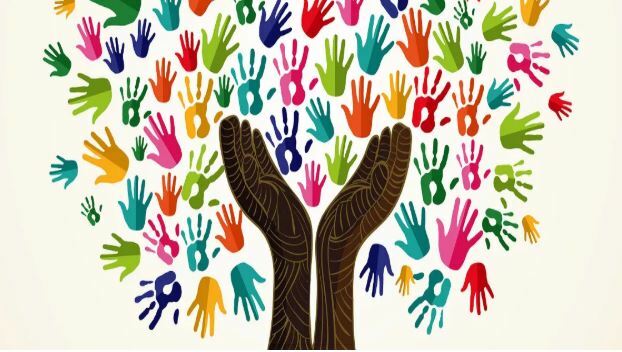 Please join us on Thursday, April 11 from 6 to 8 p.m. for our annual Multicultural/Literacy Night. Music, art, food and more. Plus raffle prizes! 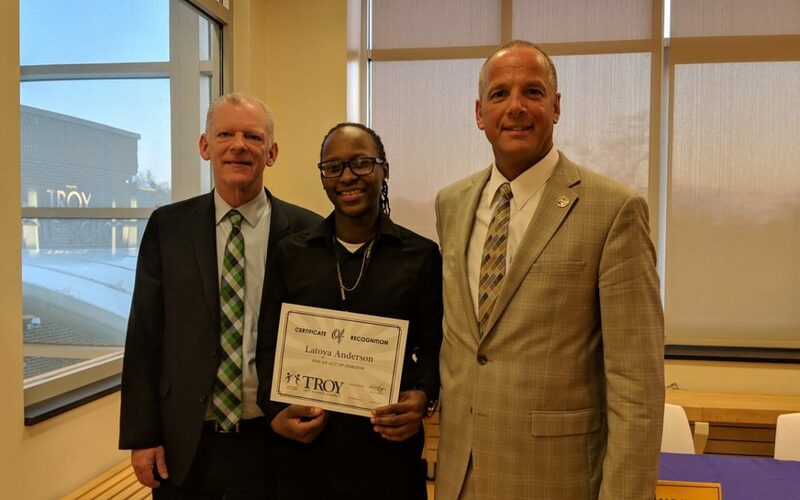 Latoya Anderson, aka “Coach T,” was recognized at the April 3 Board of Education for her quick thinking and act of heroism. On January 18, Ms. Anderson performed CPR on an unresponsive child, saving her life. During the April 3 Board of Education meeting, Superintendent John Carmello presented Draft 3 of the 2019-2020 proposed budget. Thanks to an increase in State Aid over the Governor’s proposal, the District will be able to add needed supports for the first time in several years while staying below the tax cap of 1.89 percent. The $114,174,990 proposed budget includes a tax levy increase of 1 percent. The Board will adopt the proposed budget on April 16. The community will vote on the proposed budget on May 21. 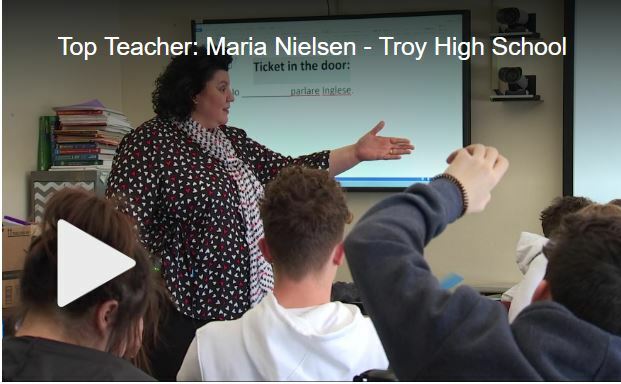 Troy High School Italian Language Teacher Maria Nielson is this week’s WNYT Channel 13 Top Teacher! 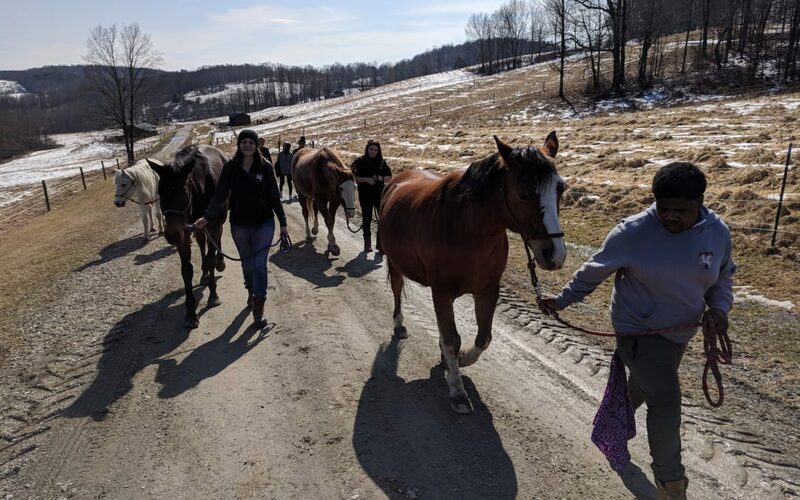 Check out the clip to see how she uses advanced video conferencing technology to take her students on virtual field trips. We are so fortunate to have amazing teachers like you! 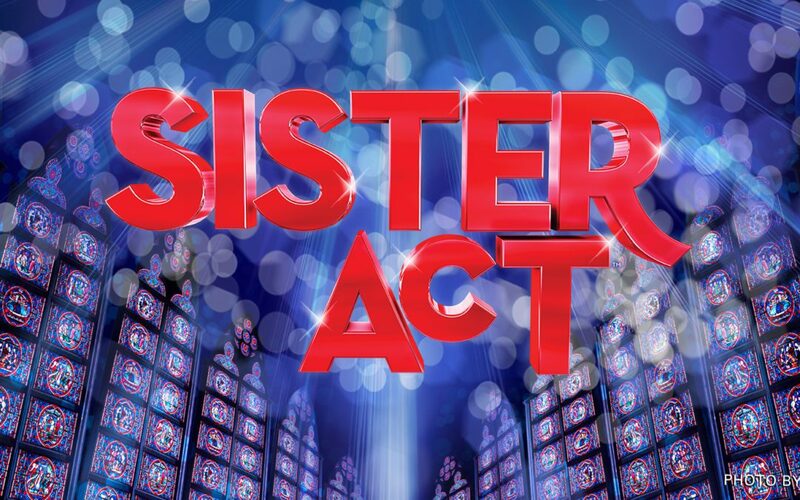 The Troy High School Drama Department proudly presents “Sister Act” at 7:30 p.m. on Friday, April 5 and Saturday, April 6 at the Veterans Memorial Auditorium. Admission is $10 for adults and $5 for students. Please join us on Tuesday, April 9 for a screening of “Broken Places,” a break through documentary looking through the lens of Adverse Childhood Experiences. The screening will begin at 6 p.m. at the Veterans Memorial Auditorium located on the Troy Middle School/Troy High School campus. Panel discussion to follow.